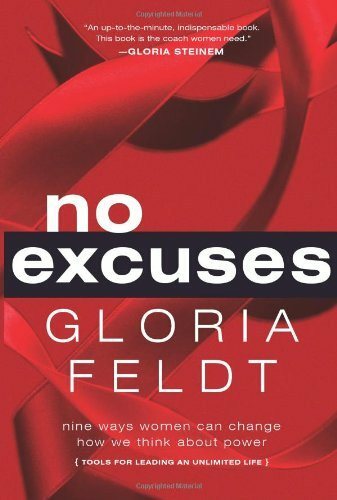 In No Excuses, feminist icon Gloria Feldt argues that the most confounding problem facing women today isn’t that doors aren’t open, but that not enough women are walking through them. From the boardroom to the bedroom, public office to personal relationships, she asserts that nobody is keeping women from parity — except themselves. Through interviews, historical perspective, and anecdotes, examines why barriers to gender equality still exist in American society and discusses how to break them down through organized efforts using movement-building principles. Feldt employs a no-nonsense, tough-love point of view to expose the internal and external roadblocks holding women back, but she doesn’t place blame; rather, she provides inspiration, hope, and courage — as well as concrete “power tools” to aid women in securing equality and justice for themselves — articulated with personal warmth and humor. No Excuses is a timely and invaluable book that helps women equalize gender power in politics, work, and love.